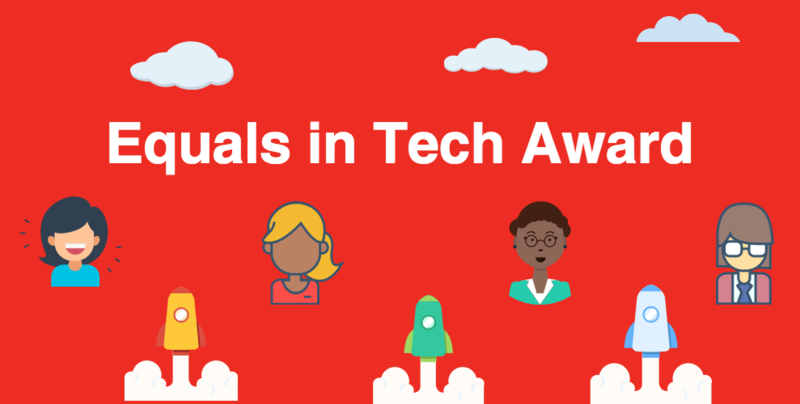 The “Equals in Tech” Awards is a yearly initiative which aims to promote gender equality and mainstreaming in technology. In addition to promoting gender equality in the tech sector, the award also highlights how ICTs can be used to foster females’ social, political and economic empowerment. Access: Develop gender-responsive ICT governance, policy and access: initiatives focused on new legislation, policy frameworks or internal corporate strategy to improve women’s digital technology access, connectivity and security. Skills: Encourage women and girls to pursue education in STEM studies: initiatives encouraging more women and girls in the STEM field (science, technology, engineering and math), focusing on the development of more relevant content, and addressing and overcoming cultural and social barriers that they face when entering a STEM education. One organisation is awarded per category. The nominated initiatives will be judged by a distinguished panel of partners and previous winners who have been recognized as Equals in Tech Advisors. This group will also work together to share their best practices and to promote the call for nominations. Discover more about the previously awarded projects by reviewing last year winners. The “Equals in Tech” Awards ceremony will be held in Geneva, during the Internet Governance Forum taking place from 18-21 December, 2017. According to the UN, even if ICT tools can encourage gender equality and the empowerment of women in developing countries, they can also initiate a gender divide. This is reflected in the lower numbers of women accessing and using ICT tools, compared to men. Several reports have also demonstrated instances of critical gender equality issues related to ICT and development, along with how ICT benefits could be unevenly distributed across genders. In Cambodia, the enthusiasm over the rapid growth of ICT in the past few years is undeniable. We have also seen our Kingdom making efforts in preventing this gender divide with events and programmes dedicated entirely to females in tech such as Technovation Cambodia and Women Techmakers. However, we still do hope to see more initiatives and projects blossoming with regards to the empowerment of women in tech. Afterall, a divide can only be a division of brilliant minds, while equality, with the combined efforts of all regardless of gender, will certainly be able to help Cambodia reach further in terms of tech development. As such, it is essential to support initiatives that work towards identifying key issues and proposing strategic actions to enhance women’s empowerment through ICT in Cambodia, and the Equals in Tech Award is one such way to foster it. To learn more about the Equals in Tech Award, please visit their website. If you feel ready to apply or are inspired to nominate a fellow organisation, please follow this link. For more news on the latest tech events, happenings and awards, be sure to stay locked to Geeks in Cambodia and give our Facebook page a ‘like’!